Studio 54 was transplanted from New York City to the MGM Grand Hotel & Casino in Las Vegas in 1998. 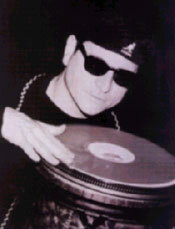 The new Studio 54 features hot dance music played by MY COUSIN, "DJ FRANKIE" MUSIC DIRECTOR. It has four dance floors & bars, a killer sound system and video wall, live dancers, including dance shows, plus a gallery of B&W photographs documenting STUDIO 54 Glory days. After enjoying your special affair with DJ PETER JOSEPH MUSIC, whether you're going on your HONEYMOON IN VEGAS or taking a vacation somewhere down the line, I will give you complimentary passes to STUDIO 54. 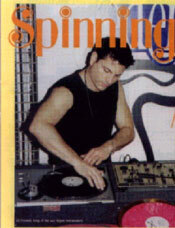 DJ FRANKIE will give you a tour of the club and a thrilling time at the HOTTEST NIGHT CLUB IN VEGAS. IF YOU'RE GOING TO LAS VEGAS, YOU DON'T WANT TO MISS IT! 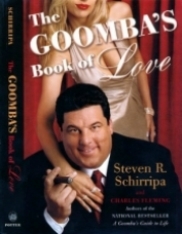 DJ Peter Joseph's relatives are featured in Steve R. Schirripa's best seller "The Goomba's" Book of Love on page 109. DJ Peter Joseph's Mom and Dad are in the center, along with his Sister & Brother-in-law, Aunt & Uncle, nieces, nephews, and cousins. 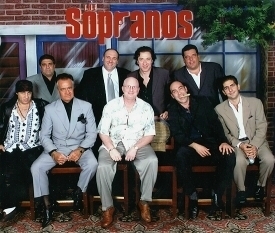 Peter Joseph's cousin Michael Anobile actor (center) with cast and friends of the Sopranos. He also appeared on the Wayne Brady show and many times on the Spike cable channel.